More of us now buy goods online and have them delivered directly to our homes or workplace. Experts claim that retail is slowly dying and that consumers will rely more and more on same day delivery. This not only includes ground service but also the idea of a drone dropping that package off where and when you want it. Current retail trends indicate that 51 percent of US consumers prefer online shopping. Ecommerce is expected to grow quickly as consumers integrate their digital devices into their shopping habits. An October 2016 report from Kinsey entitled How Customer Demands are Reshaping Last-Mile Delivery predicted that in the future, 80 percent of all purchased goods would be delivered via autonomous vehicles, including drones. The country’s largest online shopping network, Amazon plans to begin its own delivery service by the end of the year. The company has made these claims before and if the plan actually pans out, it will take on all other delivery companies and handle logistics from beginning to end. The company seems to be primarily focused on delivery by flying drone. The giant began testing drone delivery in the UK in 2016. In May, Amazon was left out of testing drone delivery in the US when the Federal Aviation Agency (FAA) announced 10 regions paired with private companies to begin testing. Delivery Drones that can react to human gestures. Delivery drone that can drop packages from 5 to 25 feet. Beehive delivery towers that serve as multi-level fulfillment centers and a place for drones to take off and land. Use of a heartbeat signal from the controller to the drone every few seconds that protects it from physical attacks and cybersecurity threats. A flying blimp warehouse and drone airport is out there buy why not! The three biggest delivery companies in the US are also testing new ways to deliver packages. The US Post Office (USPS) plans to deploy self-driving trucks for rural routes across the country by 2025. Rural areas are being considered first due to less traffic and lower accident rates. In a possible scenario, a postal worker would still sit in the truck sorting mail or some other task while the truck self-drives along the route. The USPS has partnered with the University of Michigan during the testing phase. Chief Information Officer Rob Carter says FedEx is considering small autonomous vehicles that drive around neighborhoods making deliveries without human help. The company is also interested in integrating with AI technology (Amazon Echo or Google Home virtual assistant) on helping folks ship packages. Rolling robots instead of flying drones are in the future as well. FedEx also is working with a number of truck manufacturers in building driverless and platooning trucks for the future. In May, FedEx announced it had started using a hydrogen fuel cell powered van to deliver packages in upstate New York. Due to the lack of hydrogen stations, most fuel cell powered vehicles are relegated to fleets such as forklifts, buses and now perhaps delivery vans. UPS has been testing a delivery system that allows a delivery drone to be released from a delivery truck. The drone would be part of the truck system. The driver would scan the package, then place the package inside the drone’s cage. The drone is then deployed and the driver can continue to deliver other packages. UPS hopes working in tandem with an onboard delivery drone will save money. Senior Vice President Mark Wallace said that if a single mile is cut from each of the 66,000 drivers’ daily route, the company could save $50 million each year. This month, UPS is renegotiating with the Teamsters on a new contract which is also set to expire this month. One of the Teamsters demands is that UPS abstain from using drones or autonomous delivery vehicles to deliver packages. The fastest commercial delivery drone company in the world, US startup Zipline received $1 million from UPS in the past year. The company has been delivering blood to rural doctors and hospitals in Rwanda and now wants to create a similar delivery service in the Reno, Nevada area. Zipline drones can fly 100 miles at a time, up to 80 mph and carry 3.8 pounds. Zipline staff operate the entire supply chain from the medical worker sending in an order, to locating the right product in the warehouse and then programming the drone to deliver and come back (kind of like a homing pigeon). The company currently delivers up to 25 percent of the national blood supply outside of the Rwandan capital. The largest US grocery store chain, Kroger’s announced late last month that it, will by the end of the year, start testing the delivery of food using a fleet of small driverless cars. Earlier this year, Ford announced that it is testing a self-driving van that delivers food through Postmates. No longer will a delivery person bring take-out to the door. Instead, you will be required to go to the van that has touchpad-accessible lockers and retrieve your food via smart phone. The pilot is underway in Miami and Miami Beach, Florida with over 70 restaurants and hardware stores participating. Ford officials say they are currently testing how businesses and consumers interact with a self-driving delivery vehicle. The automaker hopes to deploy the automated delivery service by 2021. The delivery space is certainly an interesting place to be right now. How many of us though really need our stuff so quickly that it needs to be delivered by flying drone? Our quality of life could suffer from this disruption in delivery. If there are more delivery trucks on the streets and roads, more traffic congestion will be the norm and not the exception. Do we really need new stuff so quickly that we are willing to have drones take over the skies? Even in cities, you might still hear the city hum but do we really want to hear drones flying everywhere and then dropping packages with loud thuds? This goes ditto for rural America as well. Think about that the next time you order something to be delivered the same day. 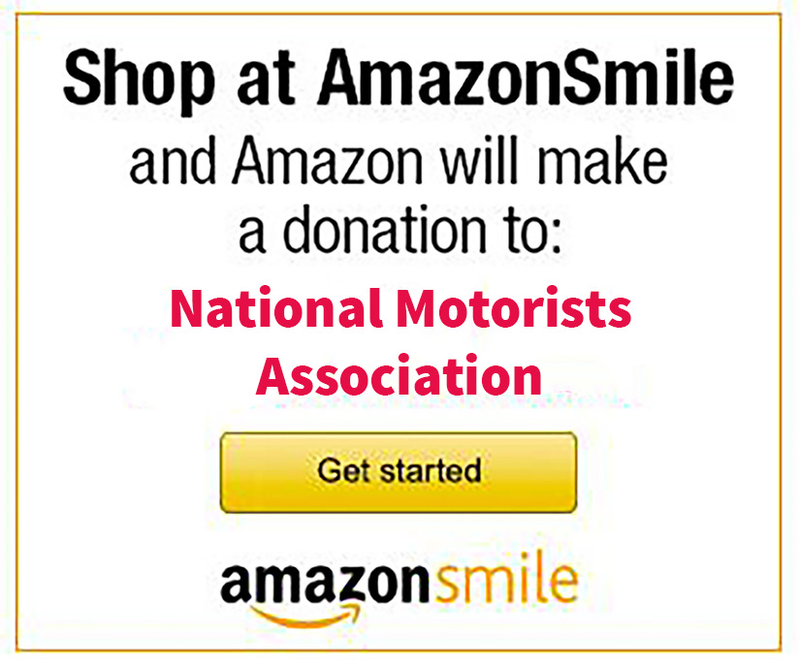 The Car of the Future Weekly Blog is sponsored by the NMA Foundation, a 501c3 nonprofit organization dedicated to protecting your interests as a motorist and citizen through the multi-faceted approach of research, education, and litigation. The Foundation is able to offer this assistance through tax-deductible contributions. NMA Driving News Feed—Over 50 Car of the Future stories are placed each month in the NMA Driving News—the go-to source for all your driving news information from around the country. NMA’s Flipboard Magazine called Car of the Future—Over 50 stories are placed each month in this magazine devoted to the Car of the Future. Stories featured include future car politics, industry news and thought pieces. If you have an interesting story about the Car of the Future, please feel free to send us a link to the NMA Email address nma@motorists.org. Is China opening up to AV competition? Will Troy, Michigan’s Crackdown On Distracted Driving Spread?